Italy lost a great artistic talent tragically young when the painter and patriot Giuseppe Abbati died on this day in 1868. Only 32 years old, Abbati passed away in the hospital of Santa Maria Nuova in Florence, having contracted rabies as a result of being bitten by a dog. Abbati was a leading figure in the Macchiaioli movement, a school of painting advanced by a small group of artists who began to meet at the Caffè Michelangiolo in Florence in the late 1850s. The group, in which Giovanni Fattori, Silvestro Lega and Cristiano Banti were other prominent members, were also for the most part revolutionaries, many of whom had taken part in the uprisings that occurred at different places in the still-to-be-united Italian peninsula in 1848. Abbati, born in Naples, had joined Giuseppe Garibaldi's Expedition of the Thousand, losing his right eye in the Battle of the Volturno in 1860, when around 24,000 partisans were confronted by a 50,000-strong Bourbon army at Capua, north of Naples. The son of Vincenzo Abbati, also a painter, Abbati was taken to live in Florence when he was six and to Venice before he was 10. 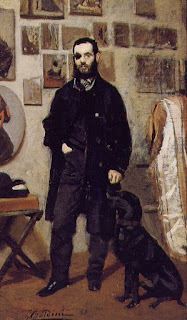 The family stayed in Venice for 12 years, Abbati attending the Accademia di Belle Arti, where he met future Macchiaioli painters Vito D'Ancona and Telemaco Signorini. It was there that he witnessed the uprising against the Austrians led by Daniele Manin, future president of the short-lived Republic of San Marco. Abbati returned to Naples in 1858, exhibiting at the Royal Bourbon Museum, before moving again to Florence in 1860 and making the acquaintance at the Caffè Michelangiolo of the Macchiaioli group. They were a group who favoured political renewal but wanted also to establish a new Italian national pictorial culture, breaking away from the conventions taught by the established academies. They believed that spots - macchie, in Italian - of light and shade were the chief components of works of art and were also advocates of painting outdoors - often referred to by the French expression en plein air - in order to capture the way scenes appeared at the time of execution, and how they are affected by light and weather conditions. 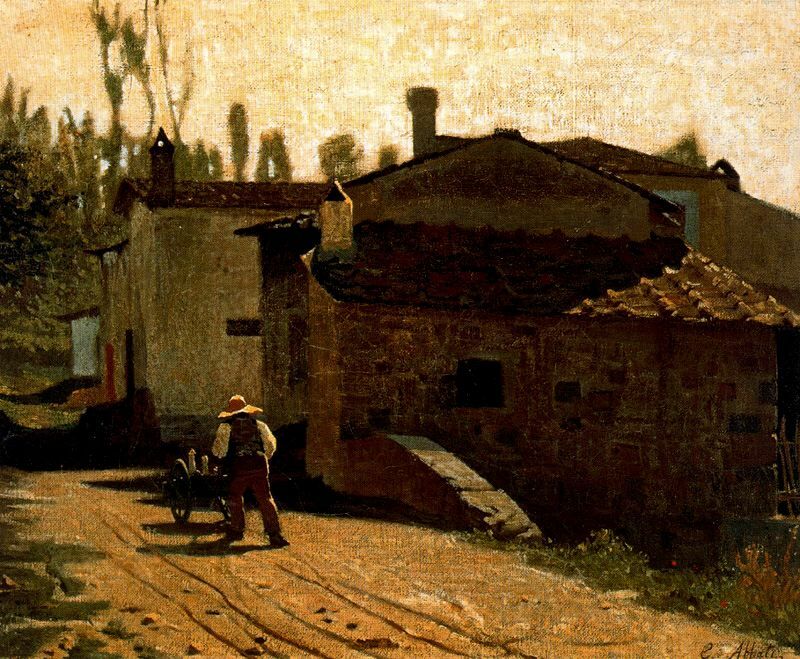 Comparisons were made with the Impressionist movement in France but the Macchiaioli were less bold in their pursuit of optical effects and their outlines and figures were generally more sharply defined. 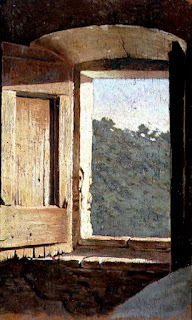 Abbati was seen as one of the most talented in the group and enjoyed a period of high productivity between 1860 and 1866 with a series of street or countryside scenes, sometimes painting a scene through the frame of a window or an archway, emphasising the contrasts of light and shade. He tasted military action again in 1866, joining up to fight in the Third Italian War of Independence on the side of the new Kingdom of Italy against the Austrians. He was captured during the Battle of Custoza and imprisoned in Croatia. On his return to Italy, he lived on the estate owned by Diego Martelli, a patron and critic he met in Florence, in Castelnuovo della Misericordia, in the hills above Livorno, on the Tuscan coast. It was there, however, that Abbati was bitten by one of Martelli's dogs, which turned out to be rabid. He was treated in hospital for almost six weeks before the disease finally took him. Capua, where Abbati fought alongside Garibaldi in the Expedition of the Thousand, developed as a town around the point at which the Volturno river crosses the Via Appia, the Roman road linking Rome with Brindisi, and therefore was always strategically important. There are many Roman relics including the remains of the second largest amphitheatre of the Roman empire. Only the Colosseum in Rome has larger dimensions. The 11th century Basilica of Sant'Angelo in Formis and the Cathedral of Capua, some of which dates back to the ninth century and which contains painting by Domenico Vaccaro, are also worth visiting. The Caffè Michelangiolo was a literary cafe that could be found in what was then Via Largo (now Via Cavour) in Florence, a short distance from the centre of the city going towards the university. 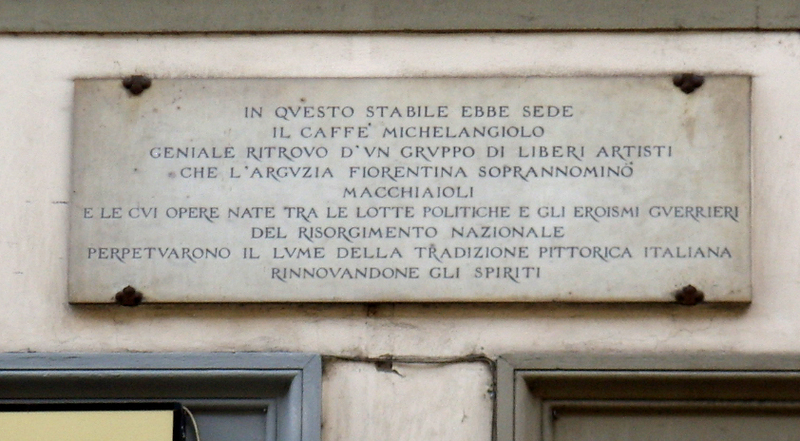 The building at 21 Via Cavour has a plaque to commemorate its history as a meeting place of the Macchiaioli artists. Today it is a centre for events and exhibitions celebrating their work.